By Singyin Lee in Social Media. Updated on February 5, 2016 . 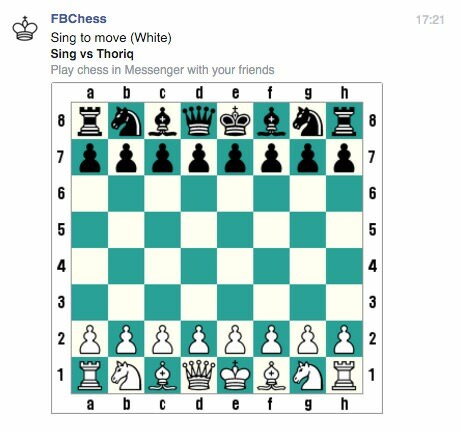 Did you know that you can play Chess on Facebook? Well, on Facebook Messenger to be exact. It is a hidden command that can be triggered with @fbchess but be warned it is a very tedious way to play an online chess game (but who knows? You might be a fan). To get started, open up a chat conversation with any friend, preferably one who plays Chess of course. You can do this on desktop or on your iOS or Android app. Type @fbchess play to start a game. You might be be automatically assigned a color. You can choose to pick your own color (@fbchess play white) or assign your opponent a color as well. 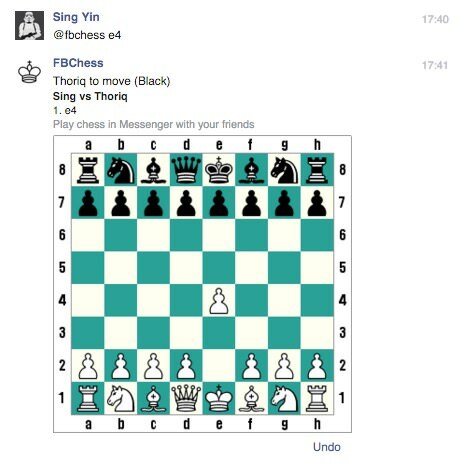 Here’s what chess on Messenger looks like. You will notice the numbers and letters on the side of the chessboard. Yes, that’s how you are going to "move" those chess pieces across the board. No clicking or dragging here. This is old school algebraic notation chess play. Like I said, it’s tedious. 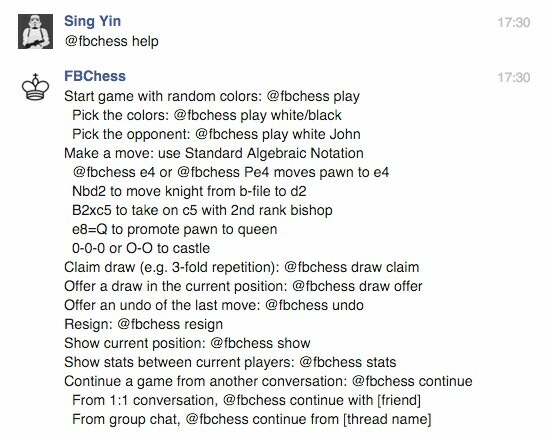 Wait until you see the instructions, which you can pull up by typing the command @fbchess help. Here’s the full list of how to make certain moves on the chessboard, how to resign, offer a draw, claim a draw, undo your last move (well, the option is available but I tried this, and the Undo didn’t work for me), show current position, show stats between players or take the game to another conversation.